4 Apr, 2017 in creativity tagged business / creative play / creative thinking / creativity / success by Minette Riordan, Ph.D. If you are a creative entrepreneur, it might not surprise you to discover that creativity has been proven to drive business success. And yet, most companies and individuals don’t consider themselves to be creative or understand how to nurture creativity in their business. And creatives often don’t know how to connect to and nurture their inner business leader. They struggle to run their business or to create consistent income. There seems to be a conundrum here on how to connect our creativity to our business in a way that is effective and profitable for any size company. Big companies are saying they need more creativity. Small companies and business owners are saying they are creative but need more revenue. In this article, I want to speak to small business owners and creative entrepreneurs who want to make more money doing what they love. 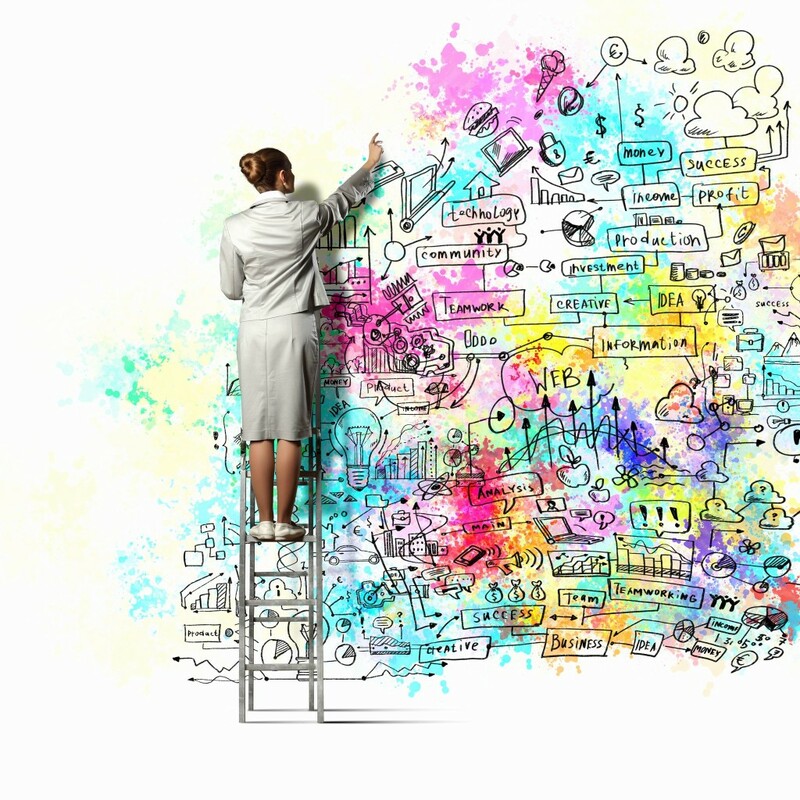 How can we connect creativity to business success? Look for ways to incorporate creative play and creative thinking into your business planning and strategy. As creative entrepreneurs, we often create a divide between our “creative work” and our “business work.” I believe that the more we integrate creativity into business, the more success we will have and the happier we will be. We also have to see our creativity as a gift that will support is in our business, not a challenge we have to overcome. Creatives often claim they are unfocused, scattered, don’t like marketing or sales, resent having to sell their art… the list goes on. I believe the challenge lies not within the personality of the creative or whether we are right-brain or left-brain dominant but within our perspective of what business “should” look like. I had such a great conversation today with one of my colleagues who is planning a retreat and we were talking about what’s normal as opposed to what’s possible when planning an event. We talked about people’s expectations, and would the event be about selling attendees something or just delivering content? So many questions to answer! You see, she and I have taken the same coaching program learning to offer 3 day events. We were taught a specific model that works really well. Our mentor, who has created fantastic templates for us to use, always reminds us that these templates are guides not god. His intention is for us to take the templates and make them our own. And yet, we get stuck thinking I have to do it exactly right or it won’t work. I reminded my friend of this and told her that her event will be successful when she makes it her own. She doesn’t have to do it like anyone else! In fact, the more aligned she feels with how she is creating the event, the easier it will be to attract the right people. That is not creative thinking, that is a business in a size or a color that never fits you quite right – it feels too tight, too constrained, too big, too… you’re not sure what but it’s just not you. If you want to love your business and make great money, you have to bring your own brand of creativity to every aspect of it. Your creative practice is not separate from your business practice, it’s an integral part. I have one client who is a graphic designer and a clown. Her graphic design business was struggling, she had lost her sense of fun and passion for her work. I realized that she was putting all of that fun into her clowning and it was absent in her business. By integrating more of Zoe the clown into her design business, she fell in love with her work, refreshed her ideal client profiles and spent more time working on projects she loved – and made great money doing it. In both cases, these creative entrepreneurs needed to be reminded that bringing their own brand of creativity to their business was what was needed to make it fun for them. And guess what, when you are having fun in your business, you get more done and you make more money. Add more color to your planning. Use big sheets of paper and markers or crayons to plan your editorial content, products or services. A giant white board or chalkboard would serve the same purpose. Most creative entrepreneurs don’t spend enough time planning because we don’t make it fun, colorful and playful. Planning is what drives business success. Embrace planning by making it fun – whatever that looks like for you. If you work at home alone, find people to connect with to brainstorm and share ideas. Creativity is nurtured and fed by conversation and fresh perspectives. You don’t have to do it all alone! This is why I love our group programs. Our clients learn just as much from each other as they do from me. Go for a walk in nature. My friend who is planning her retreat is building outdoor time into her retreat. She knows this will nurture her attendees’ creativity and business planning, make her event more fun and help her people integrate all that they are learning. I try to get outside every day even for just a short walk. Usually my husband and I walk and talk about our business. Some of our best ideas occur when we step away from our work space. How could you or do you incorporate creative play and creative thinking into your business? Thank you Minette. As a fledgling business, with a passion for creating adventure stories for children, I have the fun part. I needed to be reminded about stepping outside – although my kids tell me off about it, as well. It’s too easy, when you are trying to get a new business off the ground, to become over committed to work, and not take time to breathe! Just visited your blog for the first time via UBC and oh my! I discovered a kindred spirit. So excited to read your post. Found myself nodding in agreement. More play. More creativity. Make our business reflect our uniqueness. When I embraced that, everything changed. So I have to say “Preach it, Girl!” The world needs this message. And more Zentangles and Soul Collage, too. Hi Aprille, that’s how I felt when I read your post today too!! Thanks for cheering me on!! I think you nailed it when you said that as creative entrepreneurs we get caught up with what we think business “should” look like. I’ve used all your suggestions at one time or another. I plan on huge sheets of neon pink poster board, with colored sticky notes and markers. I try to get out at least once a week for coffee with friends, and my favorite way to spend “thinking time” is walking one of the many trails here. I’m so happy it’s spring and warming up! Ohhh, big pink poster board and sticky notes sounds delightful! Always fun to discover like-minded creative spirits. ← Are you Effectively Using Your Business Card?